A company’s cyber security is only as strong as its weakest link. A recent survey by the Association of Corporate Counsel found that 30% of all cyber breaches are a result of employee error. Many of these errors are due to carelessness or ignorance. The mobile friendly course is appropriate for all staff. It challenges learners to reassess their attitudes towards cyber security. 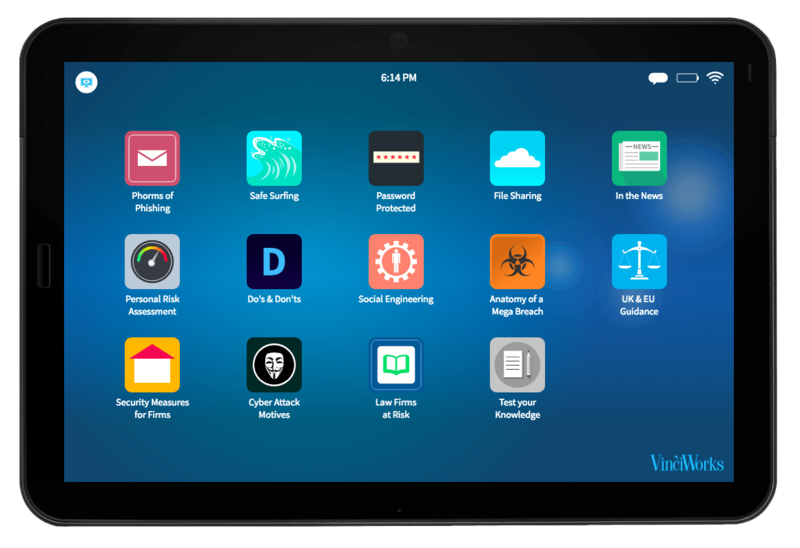 It educates users on the sophistication of modern hackers and drives users to adopt safer cyber behaviours. Through a series of prying questions the assessment evaluates a user's susceptibility to cyber attack. 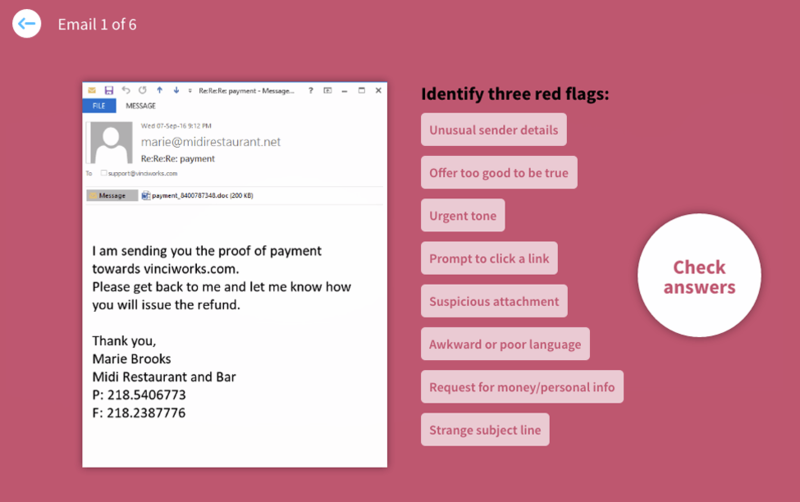 Users are tested on how well they can spot red flags in a fast-paced quiz featuring real phishing emails. 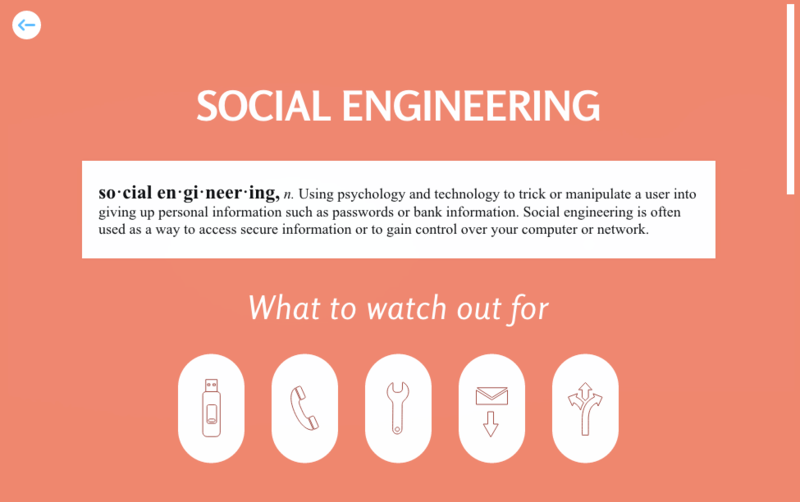 Users discover the most common social engineering pitfalls and how to avoid them.